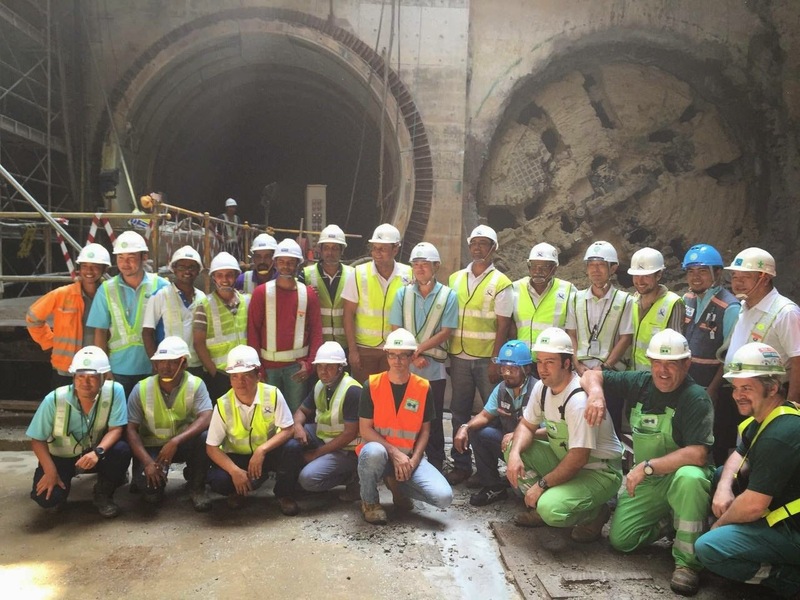 S761 has just completed excavation of the Expo Bound tunnel between UPC and XPO, marking the end of its second and final drive. After a long and arduous drive, the BP bound machine from the prison shaft has docked at Bedok Reservoir at last. 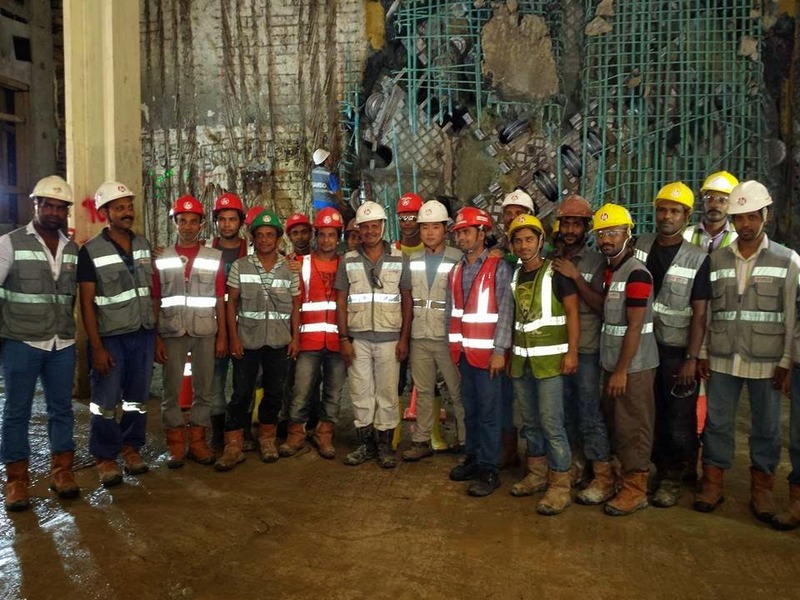 The machine will begin to dismantle while the cutterhead and essential electrical components within the backup gantry be brought back to the surface to be reused for the second drive to Tampines West. 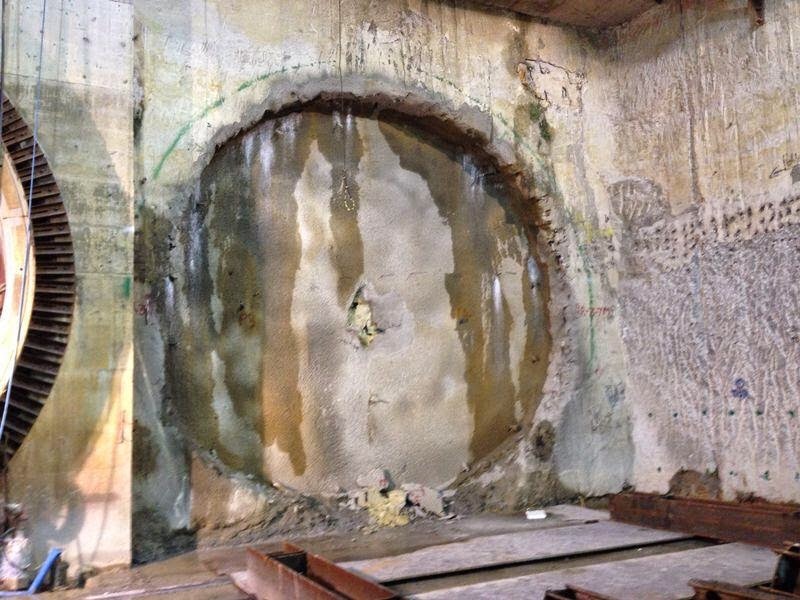 It will join its sister machine to be the final TBM launch of the entire Downtown Line, estimated in February 2015. 6 tunnels remaining. We thank Karthik & Sankar from KTC & Tritech for the consistent updates. 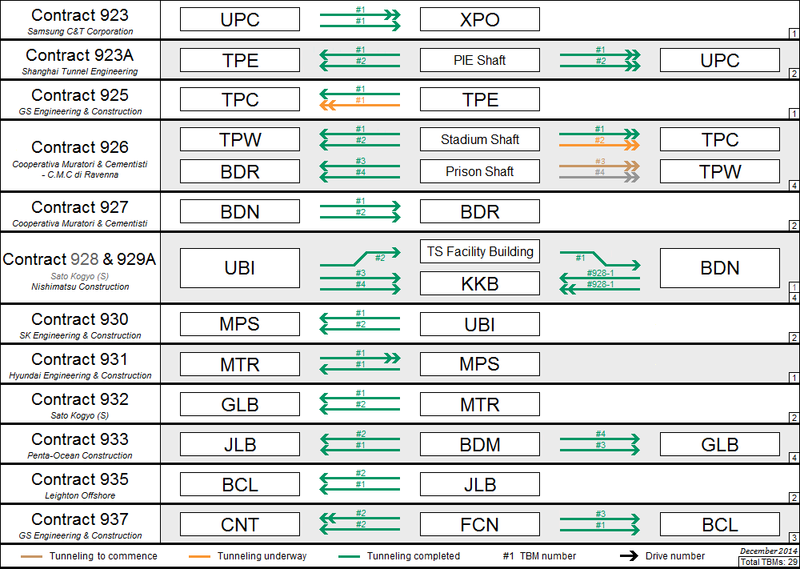 DTL3 Tunnel Progress as of 13 December. 4 tunnels remaining. The final Herrenknecht TBM along the entire Downtown Line has just docked at the completed Tai Seng Facility Building this morning. 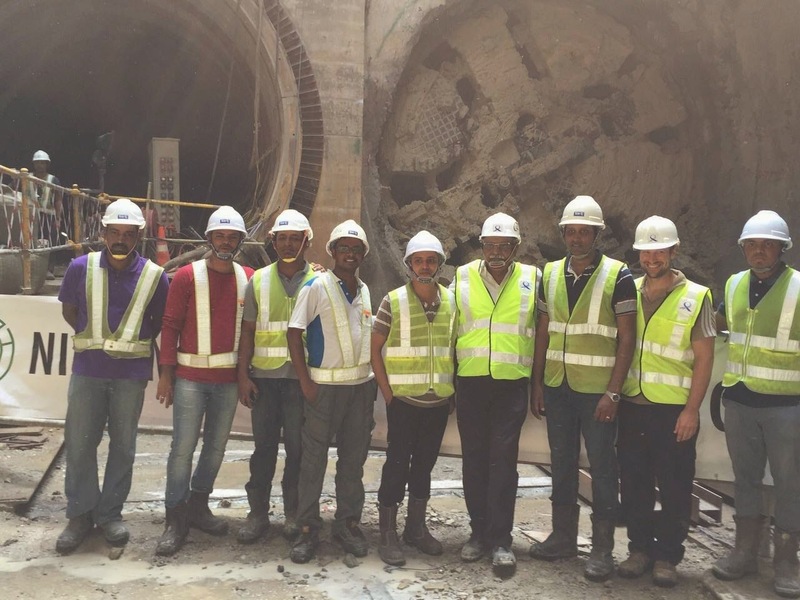 S693 (TBM2) completed a 1445-ring drive (2.0km) from the Ubi launch shaft to TSFB for the Reception Track 6, tunnelling one of the longest drives along the DTL. 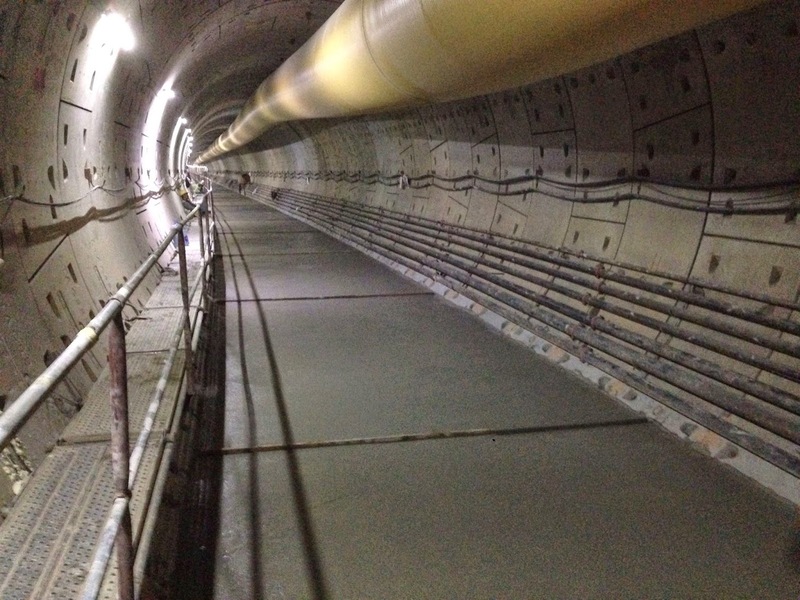 This is Nishimatsu's final breakthrough within C929A as the tunnel contract wraps up. 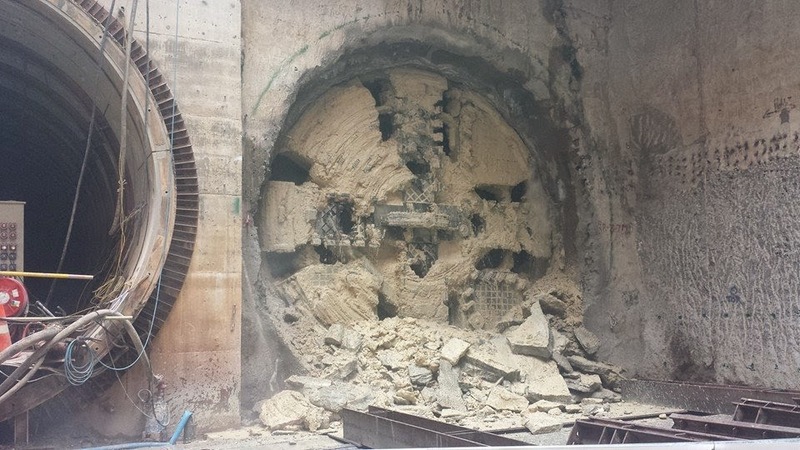 This is also the DTL's final breakthrough for a single-driven TBM, with the remaining 5 TBMs along DTL3 executing or preparing their second drive. 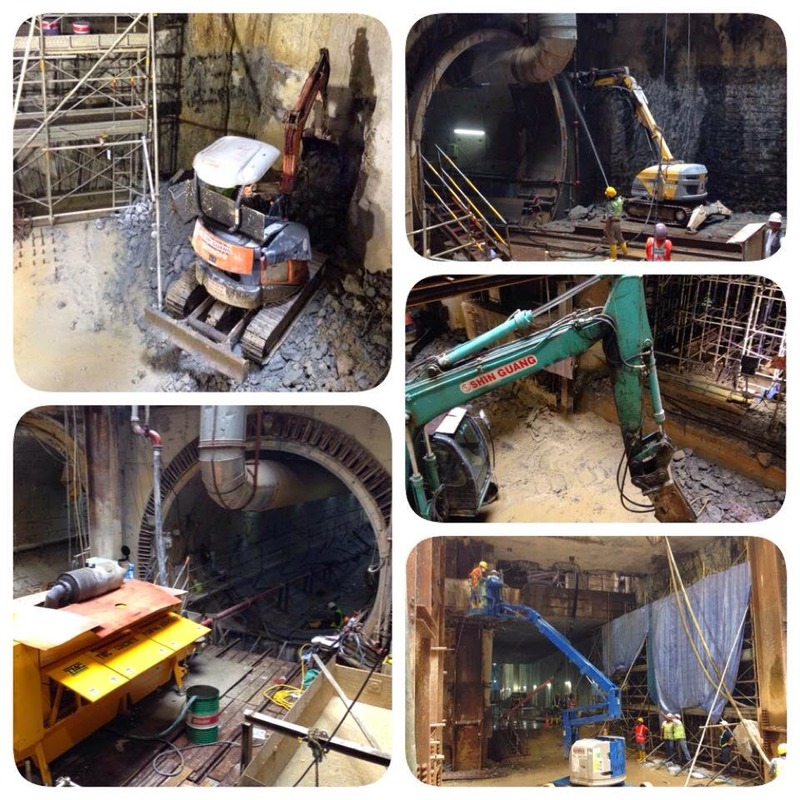 With great thanks to the tunnelling team from Nishimatsu for the frequent progress updates. The Expo Bound TBM from the Stadium Shaft has docked into Tampines Central Station. 4 tunnels to go.